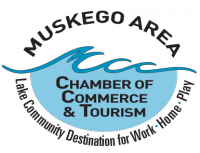 The Coordinator provides professional staff support to Muskego Senior Taxi, ensuring that families in Muskego and surrounding communities receive the best possible service. Hours are Monday thru Friday 12:30-5pm. Experience with Microsoft Office, Excel and Social Media essential. This is a very interesting and rewarding position. For full job description and application, email muskegoseniortaxi@yahoo.com.